Rex log saws, available from Whitlands Engineering , can produce as much firewood as three to four workers on chainsaws. 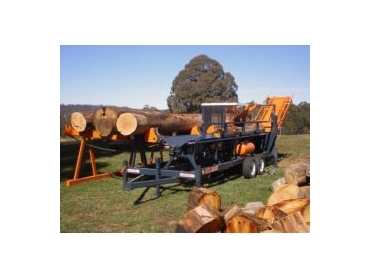 Rex log saws have been developed to dock large diameter firewood logs into blocks for splitting. They can be used with the Rex Firewood Processor, where the blocks are fed directly into the hopper. This creates an efficient firewood processing system. The log saws can handle logs from 1.5m to 7.5 m long. They can also dock logs up to 1m in dia.